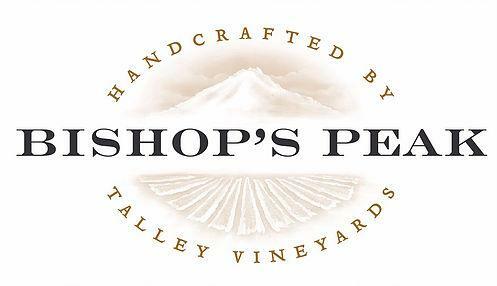 Bishop's Peak wines are handcrafted by Talley Vineyards to capture the varietal and regional diversity of San Luis Obispo County. Bishop's Peak, an iconic local landmark, was chosen as the symbol for the brand, showcasing wines that are produced in small lots from vineyard sites in the Arroyo Grande Valley, Edna Valley, and Paso Robles Viticultural Areas as well as the Nipomo area south of Arroyo Grande. Some of these sites are owned by the Talley family while others are owned by growers who share the family's commitment to quality. The wines balance production and quality to deliver exceptional value, while maintaining the same attention to detail that is the hallmark of Talley Vineyards. Vinous Media 90 "Pale gold. Fresh pear and tangerine scents are complemented by ginger and honey. Smooth and broad on entry, then tighter in the mid-palate, offering sappy orchard and citrus fruit flavors and a hint of melon. Emphatically fruity Chardonnay with very good closing breadth and cling.